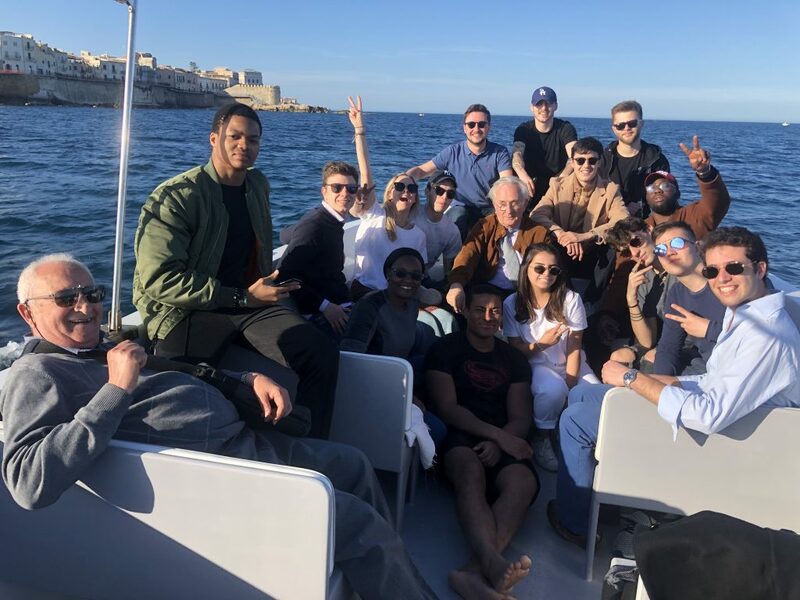 ESE Florence’s Business Management lecturer prof. Sommariva is taking a group of degree students on a unique ‘Magna Graecia Trip’ to Sicily from 14 to 18 March 2019. This cultural round-trip from Florence to Sicily includes visits to important historical cities, archaelogical sites and natural beauties. The multiple day excursion, lead by prof. Sommariva as a special guide, will start with an overnight train journey to Taormina, which is also the first stop before heading off to the beaches of Giardini Naxos. The next stop is Siracusa where the students will visit the ‘Neapolis’, the new town, as well as the island Ortiggia. Next on the itinerary are Noto, Italian ‘capital of Baroque’, Avola Marina and Aci Castello, all exceptional places to visit. Final destination is Catania where they will discover its notable city centre, before returning to Florence.